Overview... a wealthy industrialist with a pair of disrespectful sons and a largely loveless life. But Herman Blume finds something of a new hope in Max Fischer, a student at Rushmore, the private school that Herman’s own children attend. Max has the same entrepreneurial attitude that Herman had in his youth, and Herman takes it upon himself to help the young man bloom into something special. Personality… depressed, eccentric, and soft-spoken. Herman doesn’t want pity from anyone, but he does want to be loved. When Max introduces him to a teacher named Rosemary Cross, Herman falls in love with her – despite Max’s obvious feelings for her. Both Herman and Max are out of her age range, but that doesn’t seem to bother them. Herman Blume's popularity ranking on CharacTour is #3835 out of 5,000+ characters. See our top-ranked characters and read their profiles. 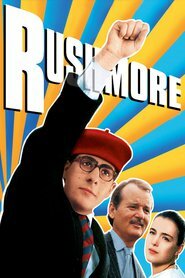 Max Fischer, a precocious and eccentric 15 year-old, who is both Rushmore's most extracurricular and least scholarly student; Herman Blume, a disillusioned industrialist who comes to admire Max; and Rosemary Cross, a widowed first grade teacher who becomes the object of both Max's and Herman's affection.